We're pleased to announce that the driving range and holes 13, 14 and 15 will now remain open through Thursday, Sept. 20., and we hope you'll take advantage of these extra few days of swing practice and full course access. The course construction will now begin on Friday, Sept. 21, and with that the driving range and holes 13,14 and 15 will be closed for the remainder of the season. Beginning Sept. 21, the current starter building will be demolished and a new starter building will rise in it's place. Matching the style and appearance of the new clubhouse, the new starter building will offer a better guest flow, a new indoor/outdoor area for the starter, an expanded dining area and restrooms, and more storage for golf operations. The construction will begin this fall with plans to be completed in time to open with the golf course next summer. In the interest of player safety, the bridges on holes 14 and 15 will also be replaced this fall. With the need to bring in heavy-duty equipment to complete this project, holes 13, 14 and 15 will be closed beginning Sept. 21, and hole 19 (the par 3 between holes 11 and 12) will be brought into play, making a 16-hole loop for the remainder of the season. The front 9 will remain fully open, with a modified route to the first tee, and seven holes will be open on the back of the course. While the bridges are being replaced, the tee box area on hole 15 will also be renovated to remove the current rock retaining wall and lower the tee box to improve the size of the tee and the visual of Gore Creek. Thank you for your patience during this construction, our hope is that by doing all of these projects at once at the end of the season, we'll be able to cut down on future disruptions at the course. With the changes coming to the golf course, fall fees will also take effect starting on Friday, Sept. 21, bringing great deals for autumn golfers. Enjoy a 16-hole round with cart for $59 or walking for $40. Or, play the front 9 for $47 with cart or $35 walking. With the summer season winding down, many of our regular programs have come to an end. The Sam Adams Swing Hour, Senior Clinics, and Ladies, Lessons & Libations programs concluded at the end of August. Expect these programs to start up again next June. Kudos to all our league players this summer, with fierce competition among the ladies, men and senior men! We have now crowned our club champions - congratulations to winners Claire Evans, Hugh Paine and Jean Demeillac! The Grill on the Gore restaurant will stay open through closing day. The current operating hours of the restaurant are 11 a.m. to 7 p.m. Starting on Sept. 17, the restaurant will close at 6 p.m. for the rest of the season. 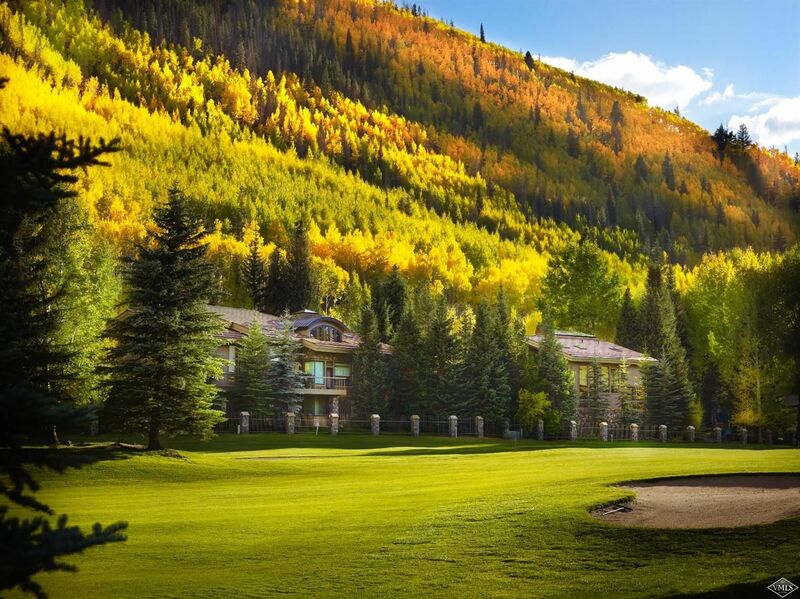 Closing day for the Vail Golf Club will be Sunday, October 21. For more information on the Vail Golf Club, please visit www.vail.golf or call 970-479-2260.